The Petri net standard ISO/IEC 15909 comprises 3 parts. The first one defines the most used net types, the second an interchange format for these – both are published. 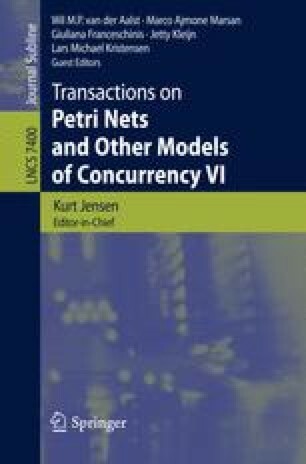 The third part deals with Petri net extensions, in particular structuring mechanisms and the introduction of additional, more elaborate net types within the standard. This paper presents a contribution to elaborate an extension framework for the third part of the standard. This strategy aims at composing enabling rules and augmenting constraints in order to build new Petri net types. We show as a proof of concept how this can be achieved with priorities, times, inhibitor arcs in the context of an interleaving semantics. We then map this framework onto the current standard metamodels.